http://www.linkedin.com/pub/barbara-balser/7/7ba/a08 – Owner, Balser Enterprises LLC (Investment Management industry). Greater Atlanta Area. <–With wife Judith | his brother David-?> | …is the president of the Washington Institute, a Washington D.C-based “think tank“. He has also provided funding to “Humanity In Action“. See http://www.15minutesmagazine.com/archives/Issue_25/week_0105-03.htm for another pic of him, with his brother Steven. 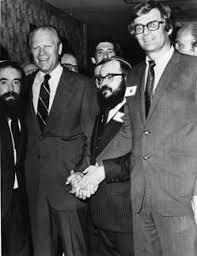 (L-R): Kenneth J. Bialkin, James S. Tisch, Alan P. Solow, Prime Minister Ehud Olmert, Ambassador Ronald S. Lauder, and Malcolm Hoenlein. 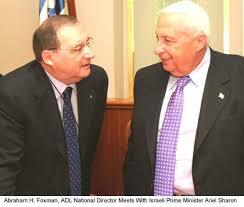 * Republican Jewish Coalition « Fed up USA * 9/11 Perps: A-H « Fed up USA * Hanging with Bush in Israel « Fed up USA, etc. | See http://www.15minutesmagazine.com/archives/Issue_25/week_0105-03.htm for another pic of him, with his wife Ann. | B. 1929. Bronx, NY. 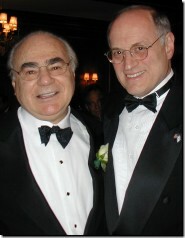 Partner, Skadden, Arps, Slate, Meagher & Flom LLC | “…Jules Kroll is connected with the 9-11 players Kenneth Bialkin and Larry Silverstein through the Citizens Budget Commission of New York. 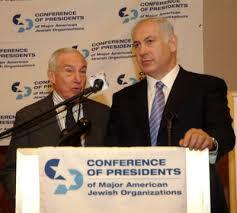 Kroll’s wife, Lynn Korda Kroll, the Vice Chairman of the United Jewish Appeal (UJA) Federation of New York, is likewise connected to Silverstein, a national chairman of the UJA, the biggest fund-raising organization for the State of Israel.” -C. Bollyn. | http://www.nndb.com/people/143/000137729/ – Mergers & Acquisitions lawyer. 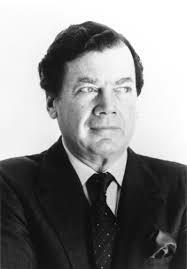 Skadden, Arps Partner; Willkie Farr & Gallagher Senior Partner; The New York Sun General Counsel; Member of the Board of Citigroup (1986-2002); Member of the Board of Travelers Property Casualty; Securities and Exchange Commission; American Stock Exchange; Metropolitan Life; NASDAQ; New York Stock Exchange; America-Israel Friendship League Chairman; American Bar Association; American Jewish Historical Society Chairman; American Law Institute; Anti-Defamation League National Chairman; Bill Bradley for President; Bush-Cheney ’04; Cantor for Congress; Center for Jewish History Vice Chairman; Council on Foreign Relations; DeMint for Senate Committee; Every Republican is Crucial PAC; Friends of Giuliani Exploratory Committee; Friends of Hillary; Friends of Senator D’Amato 1998 Committee; Jerusalem Foundation Vice Chairman; John McCain 2008; McCain 2000; McCain for Senate ’98; McCain-Palin Compliance Fund; National Committee on American Foreign Policy Board of Trustees; National Republican Congressional Committee; National Republican Senatorial Committee; New York State Bar Association; Republican Jewish Coalition Board of Directors; Rudy Giuliani Presidential Committee; Solutions America PAC; Steele for Maryland; Volunteer PAC; White Nights Foundation of America Board of Directors; Zionist Organization of America Board of Advisors. Wife: Ann E. Bialkin; Daughter: Lisa; Daughter: Johanna. | http://snippits-and-snappits.blogspot.com/2009/05/unveiling-of-bnai-brith-by-wm-cooper_1931.html – ADL National Chairman, 1982~1986; “Drug dealer extrordinaire“: “…It was on his watch that gangster Mo Delitz got the ADL’s prestigious ‘Torch of Liberty’ prize; that junk bond swindler, Michael Milken, poured millions of dollars into the launching of the League’s ‘A World of Difference’ propaganda campaign to wreck American public education; and that accused drug money launderer, Edmond Saffra, got Bialkin and the ADL to mediate a corporate divorce between his banking empire and the American Express Company. …“In return for Bialkin’s effort to salvage Saffra’s badly tarnished reputation, the ADL received a $1 million tax-exempt pay-off from him. …“But Bialkin’s real claim to fame, folks, is that he was a central figure in the doping, the drugging of America. …“Without Kenneth Bialkin’s behind-the-scenes legal maneuvering, the Medellin Cartel would have had a far more difficult time establishing a beach-head in the United States. …“In much the same way Bialkin quieted the potentially stormy divorce between Edmond Saffra and American Express, he brokered the marriage between renegade financier, Robert Vesco, and the Medellin Cartel’s Chief of Logistics, Carlos Ledder Rivas. …“As a result, the dope smuggling routes through the Caribbean into the United States were consolidated, and the streets of America were flooded during the 1980s with marijuana and cocaine. …“Now, this sordid story began in 1970 when Kenneth Bialkin, the senior partner at the Wall Street law firm of Wilkie, Farr and Gallagher, helped engineer Robert Vesco’s take-over the Investors Overseas Service, a Swiss-based mutual fund that was founded by Bernie Cornfield, with start-up funding from the Swiss-French branch of the Rothschild family, etc.” | http://www.conferenceofpresidents.org/content.asp?id=108 …lives and/or works in New York, NY. –Dead of brain cancer, 2010. Senior Counsel in the labor and employment law group of Anderson Kill’s New York City office. <–Wife Nancy. 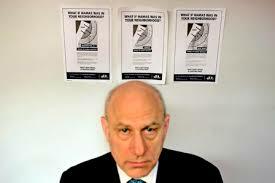 | -?>James Grosfeld: Executive Profile & Biography, BusinessWeek – Former Director, Member of Audit Committee, Member of Compensation Committee and Member of Nominating & Governance Committee, Copart, Inc. [100 Bloomfield Hills Parkway; Bloomfield Hills, Michigan 48304.] Age 72. See Board Relationships (25). …serves as a Consultant of Pulte Home Corporation. Mr. Grosfeld served as the Chief Executive Officer and Chairman of Pulte Homes, Inc. (Pulte Home Corporation/Pulte Corporation) from 1974 to 1990. From November 1993 to November 1994, Mr. Grosfeld served as the Chairman of Copart Inc. He has been a Trustee of Lexington Realty Trust (formerly Lexington Corporate Properties Trust) since November 19, 2003. 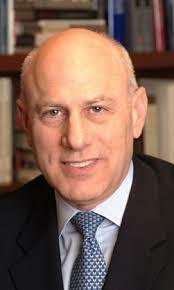 He serves as a Director of BlackRock Investors and Interstate Bakeries Corporation. He served as a Director of Addington Resources Inc., since August 1995, Copart Inc. from 1993 to September 14, 2007 and Pulte Home Corporation until 1997. He served as a Director of Blackrock Target Term. 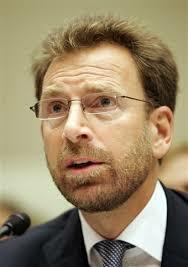 Mr. Grosfeld served as a Director of BlackRock Inc. and BlackRock Preferred Income Strategies Fund, Inc. since 1999. He served as a Member of the Advisory Board at Federal National Mortgage Association. 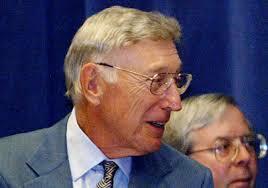 He served as a Trustee of Ramco-Gershenson Properties Trust from 2003 to June 7, 2005. OTHER AFFILIATIONS: Addington Resources, Inc.; BlackRock Target Term; PulteGroup, Inc.; Ramco-Gershenson Properties Trust; Lexington Realty Trust; Championship Liquidating Trust; BlackRock, Inc.; Amherst College; BlackRock Credit Allocation Income Trust II, Inc.; School Of Law, Columbia University. | Jewish Federation Of Metropolitan Detroit. Hudson-Webber Foundation. Spouse Nancy. | http://www.ortamerica.org/site/PageServer?pagename=don_hon_1880 | http://virtualglobetrotting.com/map/james-j-grosfelds-house/ –Bloomfield Hills, Michigan. 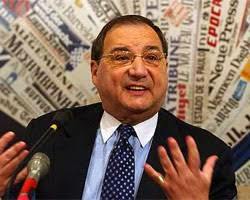 Anti-Defamation League (Vice-Chairman, 2006-Present; Chairman, National Executive Committee, 2000-2003; National Commission; Chairman, Chicago Regional Board, 1986-1988; Chairman, National Civil Rights Committee, 1990-1992); Anti-Defamation League Foundation (President, 2003-2006). | http://www.klgates.com/professionals/detail.aspx?professional=6364 -Chicago lawyer. http://www.foxrothschild.com/attorneys/bioDisplay.aspx?id=3984 – Beyond Fox Rothschild – Joe’s leadership positions in the community have included: President, Family Service of the Main Line; President, Jewish Campus Activities Board (Hillel); President, Association for Jewish Children; President, Jewish Community Relations Council; Commissioner, Philadelphia Fellowship Commission; Chair, Soviet Jewry Council; Chair, Jewish Federation of Greater Philadelphia; Chair, Har Zion Radnor Temple; Chair, International Concerns, Anti-Defamation League; Vice-Chair, National Conference on Soviet Jewry; Vice-Chair, Har Zion Temple; Board member, American Jewish Joint Distribution Committee; Board member, United Way of Greater Philadelphia. 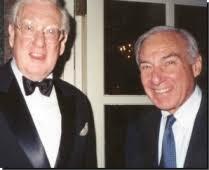 Steve Susman, from left, George Stark and Harry Reasoner. | http://apps.detnews.com/apps/history/index.php?id=34 | …wife Lois, of Houston. [Missing photo>] Jason Kuruzovich (center), with Gerald Stempler (r) and Larry Gordon. | http://www.rhsmith.umd.edu/smithbusiness/fall2005/connections_2.html | Unifirst Corporation; Jewish Foundation for Group Homes. 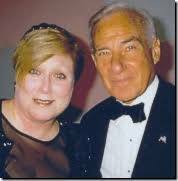 “Stempler and his wife Deana work together in their foundation, the Stempler Family Foundation. Much of their grant-making is focused on Jewish charities, but they also give to ‘educational’ institutions. …Stempler lives in the metropolitan Washington, D.C., area with his wife Deana. He has one son and three daughters.” Rockville, MD. Friar’s Foundation President Leo Greenland, Lionel Hampton, Gedalio Grinberg, and Abraham D. Beame. –http://www.marcmellon.com/NEWSapplause.html. Spouse Eileen [?] West Palm Beach, Florida and/or -BEDFORD, NY 10506. National campaign chair of Israel Bonds, etc. -RITA AND IRWIN HOCHBERG FAMILY FOUNDATION 450 SEVENTH AVE STE 4100; NEW YORK, NY 10123. * Republican Jewish Coalition « Fed up USA * SOME Mishpucka Billionairies in the USA « Fed up USA | Business Executives for National Security – director; CDC Foundation – honorary board member; Fieldpoint Private Bank & Trust – co-founder; Home Depot Inc. – co-founder; Horatio Alger Association – member; Mainstream Holdings – investor; Marcus Foundation – chairman; Marcus Institute – founder; Republican Jewish Coalition – director. Past: Progress for America Voter Fund– major donor. …lives and/or works in Atlanta, GA.
http://people.forbes.com/profile/samuel-h-miller/34514 – Co-Chairman of the Board and Treasurer, Forest City Enterprises, Inc., Cleveland, OH. Sector: FINANCIAL / Property Management. Officer since January 1992. 89 Years Old. Miller, 88, has been a Forest City director since 1960. He has been the Co-Chairman of our Board of Directors since June 1995 and our Treasurer since 1992. He previously served as Chairman of the Board from June 1993 to June 1995 and Vice Chairman and Chief Operating Officer prior to June 1993. Mr. Miller is also an officer and/or director of various subsidiaries. Mr. Miller is active with numerous community, educational, charitable and business organizations, including the Cleveland Clinic Foundation, Cleveland State University, John Carroll University, Notre Dame College, Catholic Diocese of Cleveland Foundation, Baldwin Wallace College, and serves as the Co-Chairman of Medical Mutual of Ohio. | Medical Mutual of Ohio – director. | http://my.clevelandclinic.org/about/governance_leadership/samuel_h_miller.aspx | Abraham Miller – son; Ruth Ratner (deceased) – spouse. …lives and/or works in Cleveland, OH. * http://blogs.app.com/capitolquickies/2011/02/01/more-change-atop-sci-as-alan-rockoff-announces-retirement/ – Rockoff, 78, is a former deputy attorney general, two-term Middlesex County [N.J.] prosecutor and Superior Court judge. Sylvia and Roland Schaefer. | http://www6.miami.edu/ummedicine-magazine/spring1999/alumni.html. http://people.forbes.com/profile/robert-h-naftaly/52128 – Director, Sun Communities, Southfield, MI. | Director, Meadowbrook Insurance Group, Inc., Southfield, MI. Age: 72. 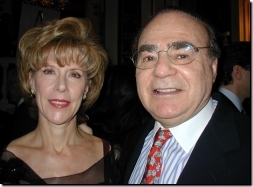 <–Ellen and Murray Koppelman–> http://www.ort.org/ort/newslet/news4/page_2.htm | http://watchdog.net/contrib/10021/murray_koppelman | http://www.15minutesmagazine.com/archives/Issue_32/month_0201-07.htm | Former President of American ORT. Zip code 10021. Mehler And Gruen Pc in Washington, DC. | Kenneth J Bialkin – Profile on CorporationWiki.com | Gelman, Rosenberg & Freedman, CPAs | Pacific Southwest region [!] | http://www.city-data.com/elec2/92/elec-FALLS-CHURCH-VA-92.html – Mehler & Associates – CPA accounting and tax practice. Baratz Financial , Inc. Board Member, Health Outcomes Management Inc.
-6405 Riverview Lane Dallas, Texas 75248. Spouse: Natalie. (Standing, from left) ADL National Development Chair Barry Curtiss-Lusher; dinner co-chairs and founders of the ADL Entertainment Industry Council Mark Ordesky, Aaron Geller, Ken Suddleson and Marc Sternberg. (Seated, from left) ADL Regional Director Amanda Susskind [L.A.], ADL Humanitarian Award Honoree Tim Leiweke and ADL Senior Associate National Director Marshall S. Levin. | http://www.coloradojudicialperformance.gov/commission.cfm/id/10 – Non-attorney member, appointed by the Governor in 2010. Principal and Co-Founder of Nexus Resources LLC, an oil and gas exploration and production company, and MC-L Holding LLC, which is involved in the design and manufacture of products using proprietary thermo-electric green technology. Serves as Chair of National Development and National Executive Committee member for the Anti-Defamation League and Chair of the Advisory Board of Rose Medical Center. Also has served as Chair of the Board of Colorado Public Radio and the National Advisory Board of the PeaceJam Foundation. http://people.forbes.com/profile/joseph-a-goldblum/55017 – Age 61. President of G-II Equity Investors Inc., a General Partner of G-II Family Partnership LP; Director of Destination Maternity Corporation, etc. Also Pacific Northwest Regional Chair, ca. Oct. 2010. <–Mrs. and Mrs. James Lee Beller Jr. and Christopher Wolf. | …chaired the Washington board of the Anti-Defamation League (ADL) and is a national ADL leader, serving in various capacities nationally. | http://www.hoganlovells.com/christopher-wolf/ – D.C. lawyer. …MSNBC labeled Chris “a pioneer in Internet law”. He is a frequent television guest on privacy and related issues, appearing on PBS, NBC, MSNBC, CNN, Fox News, and others. | http://query.nytimes.com/gst/fullpage.html?res=9F01EFDF1E3DF93BA15750C0A9669D8B63 – Published: March 28, 2010. James Lee Beller Jr. and Christopher Wolf were married Saturday evening at the Jefferson Hotel in Washington. Judge Paul L. Friedman of the United States District Court for the District of Columbia officiated. …Mr. 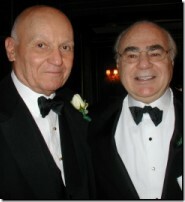 Beller (left), 49, was until 2007 a regulatory lawyer for the Pension Benefit Guaranty Corporation in Washington. He now writes and directs plays in Bethesda, Md., including ”Ethan Now,” which was named the best drama at the 2008 Capital Fringe Festival in Washington. … He is the son of Ursula V. Beller of Potomac Falls, Va., and the late Mr. Beller Sr., who lived in Greenbelt, Md. His mother oversees the operations of the Ravel Dance Studio, a ballet school in Reston, Va. His father owned the Heritage Glass Company, which was a window installation company in Washington. …Mr. Wolf, 56, is a partner in Hogan & Hartson, the Washington law firm, for which he specializes in privacy and data security law. He is on the board of the National Symphony Orchestra and is a member of the national executive committee of the Anti-Defamation League. He is also a trustee of the public broadcasting station WETA. …He is a son of the late Miriam A. Wolf and the late Alexander Wolf Jr., who lived in Bethesda. His mother was a residential real estate agent with Legum & Gerber in Washington. -?>http://www.liskow.com/bio.aspx?id=80 – Texas atty, Liskow & Lewis. 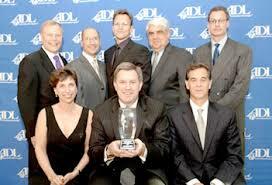 ADL Regional Advisory Board. 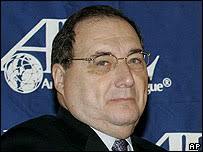 Member, ADL’s National Executive Committee and Philadelphia Region, past Chairman. Pa. lawyer. | http://www.ballardspahr.com/people/attorneys/jarin_kenneth.aspx. 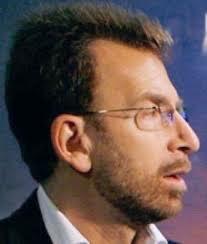 …is the Director of Education for the Anti-Defamation League. http://www.computerworld.com/s/article/318018/Q_A_ADL_CIO_Sam_Memberg_on_the_big_picture. | Greater New York City Area. <-? ?-> (<–cable exec. on left.) | RAPPAPORT MARVIN S – Lobbying Report – Washington, D.C. | -?>Employment History: Mediacom Communications Corporation. Board Member, American Cable Association. Charter Communications Vice President of Public Policy. -W. address>1200 NEW HAMPSHIRE AVE NW, #800; WASHINGTON, DC 20036. <-? | American Jewish Joint Distribution Committee, Inc. (chief global marketing officer and assistant executive vice president); Time Inc.; CameraPlanet Inc.; Medium4.com; Anti-Defamation League; Board Member, BAFTA East Coast. Greater New York City Area.